In this fun and relaxed class you will learn how to sculpt and assemble small paper flowers, which you will be able to attach to a ribbon to make a flower headband or wrist corsage. 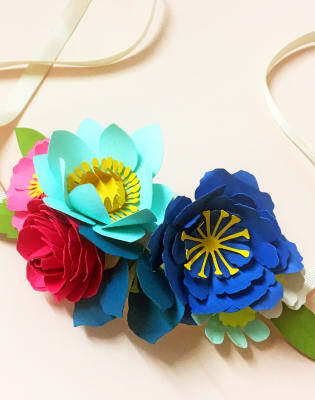 All of the materials are provided and the colourful floral shapes are pre-cut and ready to use. 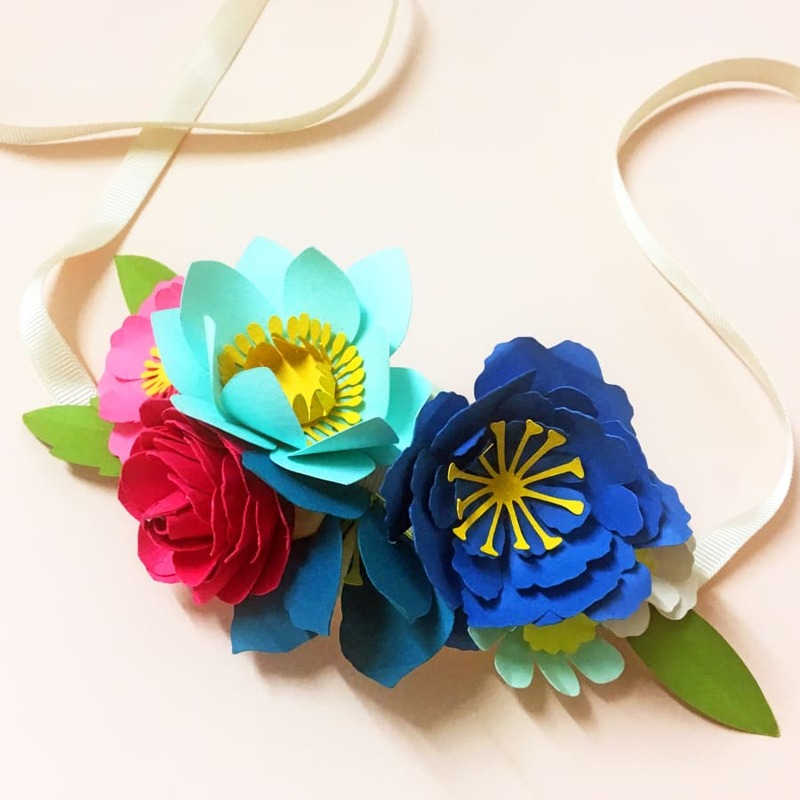 You will learn how to cut, curl, fold and shape paper into pretty paper blooms, using hot glue you will then arrange them into a headpiece or corsage ready to wear home! This class is easy and fun and suitable for all skill levels! Michaela is such an awesome teacher - I spent a really fun evening making paper flowers under her expert guidance and we even got to make a bonus buttonhole! Can’t wait to make even more flowers now. May Contain Glitter was born from a life long love of paper craft, pattern and glitter! Set up in 2012 by Micheala Childs, a fashion print designer and paper obsessive! 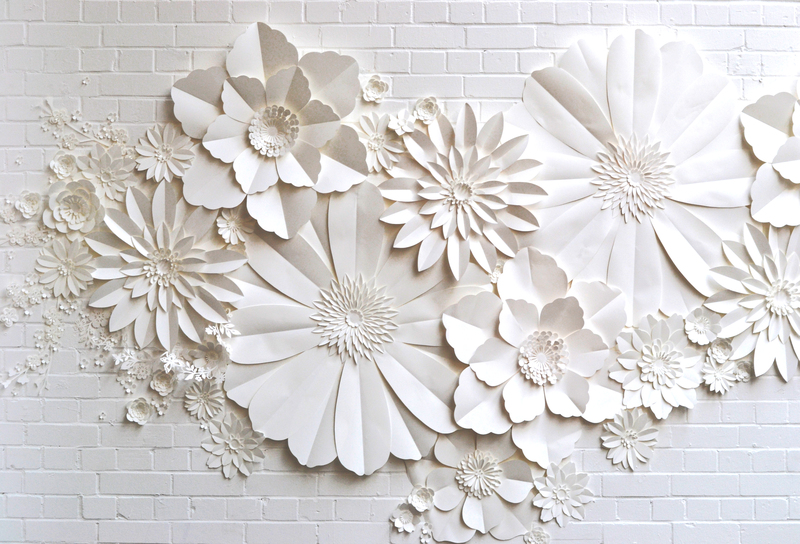 Micheala creates a range of bespoke handmade paper creations, from wedding stationery and table décor to oversized wall flowers and sparkly cake toppers! She hopes to share her skills in a series of fun and informal workshops.